The Royal Palace of Milan, aside from being an important historical building in its own right which was once the seat of government of Italian city is now one of the largest exhibition spaces in Europe. It is an important cultural center which is home to various exhibitions and expositions that are worth checking out. 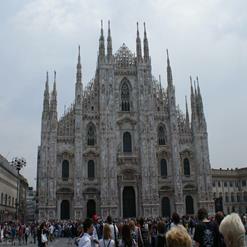 The palace hosts two of Milan's best museums: the Contemporary Art Museum and the Duomo Cathedral Museum. Inside the palace is richly decorated with statues, frescoes and plasterworks.